This website is filled with moviemaking resources, offering useful information for independent filmmakers and film students who are shopping for the best online bargains on 16mm film stock, used movie cameras, vintage movie projectors, light meters, editing splicers, reels, movie clapboards, and other mint motion picture and post production equipment for sale. Many people starting out in the film industry are restricted to tight budget and need to find the best bargains on film equipment and supplies in order to produce and finish their movie. Shooting a movie on a low budget is possible when you plan and research everything, including purchases. Don't let the high costs of film production scare you away from completing your dream film. You can find good discount deals on many movie supplies and motion picture equipment for sale online! Our site also list a selection of helpful books on 16mm film production and editing. Many used or previously owned 16mm equipment are available for a low cost through online auctions. 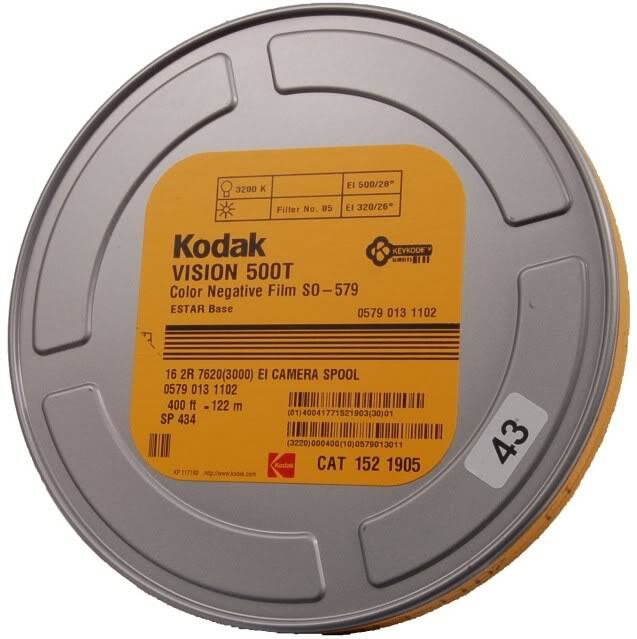 Film-makers who over buy film stock and movie supplies for their shoot end up selling their overstock at a lower price. Also, a few online retailers like BH Photo Video sell brand new film stock and products at a lower price. This film site organizes these 16mm film stock, movie cameras, and other equipment that are for sale in an easy to find manner so you can take advantage of these deals, and at the same time, read some of our helpful information on various 16 mm film equipment and supplies. We also have a resource for buying 8mm or 16mm Vintage American or foreign movie and cinema prints for sale from around the world if you have your own motion picture library. However, before you get started, there are a number of things that you must consider. The most important of which would be getting into film school. Learning all the different aspects of this art would enable you to not only hone your skills but also help you find your own style. After all, every well known film maker has their own signature style which has helped them create their own cult following. Just take Alfred Hitchcock, David Lynch and Tim Burton for example. They all have very distinct styles that are easily recognizable by film lovers the world over. Film school is basically were you will be able to learn all the different sides of filmmaking. There are two different kinds of film schools from which you can choose from. The first of which would be university film school programs which are more conventional and focus more on the actual practice of movie production whereas the more traditional film schools actually focus more on the theories of filmmaking. In these schools, you would be taught on various subjects including the fundamental movie making procedures and processes such as post-production and screenwriting basics. Most students prefer the non-traditional way of studying film as it provides them with more flexibility and the opportunity to be creative. But why is it important for a film maker to go to film school? Well, it is quite simple. You would need a sturdy foundation for your art. Yes, creativity and imagination are a film maker’s best assets but you wouldn’t be able to take your art to its full potential lest you know the technical aspects of film making as well. Getting to this side to film making would certainly be beneficial, especially if you’ve already managed to find your way into the industry. Knowing what the different components do should certainly serve an aspiring film maker well. In the United States, one of the best and most recognized film schools would be The UCLA School of Theater, Film and Television which is located in Los Angeles. Here, students would be able to combine both theory and practice. In Canada, the Vancouver Film School certainly stands out when it comes to the study of filmmaking. In fact, 50% of the school’s students came from other countries thus making a very international film school. If you are serious about pursuing your craft and want to learn as much as you can, enrolling into a good film school should be definitely a priority in your career. It is never too late to enroll. People of all ages and nationalities have dreams of becoming a filmmaker. After all, having a good foundation would make you more confident and provide you with the knowledge that you would need in order to develop your craft even further.